Friends and colleagues strongly defended Rep. Jim Jordan (R-OH) after two former Ohio State University (OSU) wrestlers accused the congressman of ignoring sexual misconduct. Two former students at OSU accused Jordan, who was an assistant wrestling coach at the university from 1986 to 1994, of knowledge that team physician Dr. Richard Strauss allegedly abused students on the team. Rep. Jordan vehemently denied any knowledge of the alleged abuse and some politicians have wondered about the political timing of the accusations as well. Three-time world wrestling champion Lee Kemper defended Congressman Jordan in a statement on Thursday. I recruited Jim Jordan out of Ohio to come to the University of Wisconsin in 1983, and it is hard for me to think of another person who embodies the character qualities of honesty, fairness, good judgment and wisdom like Jim Jordan. Jim also never took shortcuts or ducked challenges, that’s not how he became a champion, so the idea that Jim would know of abuse of his wrestlers and do nothing is utterly absurd. I first saw Jim Jordan’s tenacity in wrestling, America has seen how tenacious Jim Jordan is in Congress, and that same tenacity is exactly what Jim would have brought to abuse of wrestlers in his charge if he had known about it. From the first day I met Jim Jordan as a student-athlete, he has been the most honorable man I have ever known and my respect and admiration for all he has done and accomplished is at the very highest level. We dealt with many challenges together when he was one of my assistant coaches, and it’s important to know that neither Jim nor I would sidestep or avoid challenges for our wrestlers just because the circumstances were painful or uncomfortable – in fact, those are the kind of circumstances that motivated Jim the most. At no time while Jim Jordan was a coach with me at Ohio State did either of us ignore abuse of our wrestlers. That is not the kind of man Jim is, and it is not the kind of coach that I was. Karen Mendoza, a widow to a former wrestler at OSU, questioned the veracity and authenticity of the Jordan accusations. As a military widow, I was bullied by a vindictive and manipulative Mike DiSabato. Today, with conviction, I voice my truth, to defend the service of Jim Jordan-including his family- and all that they have given and stood for in this country. I question the intent, the authenticity, the verity, that Mike DiSabato shares in ANY of his words or actions. George Pardos, who wrestled at OSU from 1998 to 1993, contended that it was unconscionable that Jordan would ignore potential abuse. Pardos noted that then-coach Jordan once checked a teammate into a drug rehabilitation center. “For Jimmy to know that this was going on and not do anything about it, it wouldn’t happen. 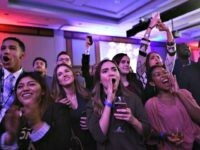 It’s completely out of character,” Pardos told the Hill. Congressman Jordan never saw any abuse, never heard about any abuse, and never had any abuse reported to him during his time as a coach at Ohio State. He has not been contacted by investigators about the matter, but will assist them in any way they ask, because if what is alleged is true, the victims deserve a full investigation, and justice. 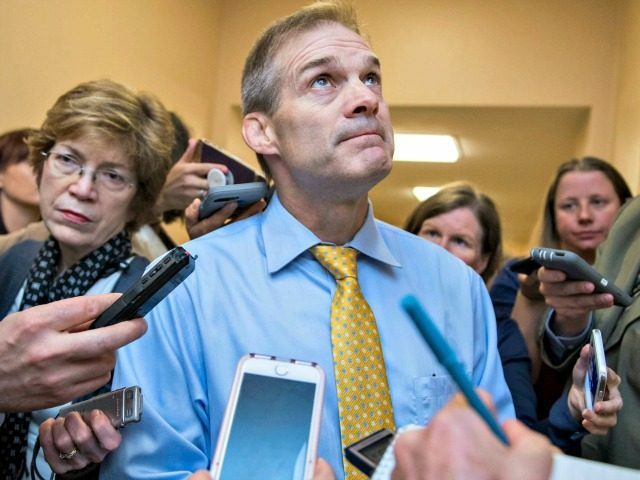 Rep. Jordan founded the conservative House Freedom Caucus and serves as a conservative ally to President Donald Trump. Jordan signaled that he plans to run to replace Speaker Paul Ryan after the 2018 midterm elections. Congressman Jordan has also made headlines grilling Federal Bureau of Investigation (FBI) Director Christopher Wray and Deputy Attorney General Rod Rosenstein over the FBI’s handling of the Trump-Russia investigation. Rep. Jordan and House Freedom Caucus Chairman Mark Meadows (R-NC) spearheaded a resolution, which passed through the House last week, demanding that Rosenstein turn over all Justice Department and FBI documents requested by Congress. House Republicans have threatened to impeach or hold Rosenstein in contempt if he does not turn over the documents. Fox News host Sean Hannity, as well as conservative activist groups such as the Tea Party Patriots and FreedomWorks, have backed Jordan for Speaker. At a July 4th event, Jordan told reporters the timing of the accusations makes one curious about why they arose now. “It’s interesting that the timing is what it is, in light of things that are going on in Washington,” Rep. Jordan said. Other politicians have wondered about the political motivations behind the accusations against Jordan. 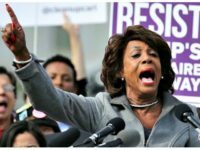 One high-ranking moderate Republican suggested that either House Majority Leader Kevin McCarthy (R-CA) or House Majority Whip Steve Scalise (R-CA) may be behind the accusations facing Jordan.